Escape into another world - a world of ultimate relaxation, rejuvenation, luxury and just a little bit of decadence - a spa treatment is all this and more. Available at a hotels, beauty salons and at a rental property or cottage. Escape into another world - a world of ultimate relaxation, rejuvenation, luxury and just a little bit of decadence - a spa treatment is all this and more. With hundreds of spa treatment venues throughout the UK, you can be sure that wherever you want to go for your luxury event, we will find something perfect for you. 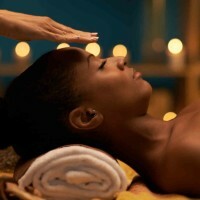 We can arrange spa days & treatments at a Hotel, Beauty Salon/Parlor and even at a rental property. Spa treatments and events can last anything from a couple of hours to two days, and can include overnight accommodation and meals. We can also arrange luxury transport for you and your group. Perfect and very popular with hen parties and girls weekends, spa treatments are also increasingly popular with men. So, if you want to try something different for your stag do or boys weekend away, let us know and we can talk though the options that work best for you.